Ontario Ovens Inc. provides a wide selection of lab ovens designed to meet a variety of applications in electronics, pharmaceuticals, metals and general materials processing. 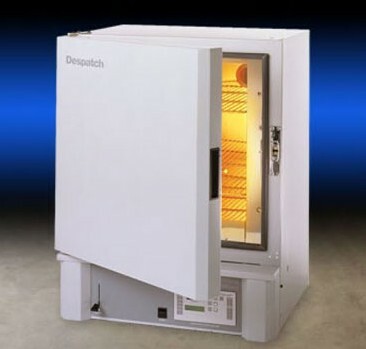 Standard, inert atmosphere, Class A and Class 100 clean room ovens are also available. Available with economical gravity convected air or forced recirculating, and in sizes from 2.1 cubic feet to 32 cubic feet. 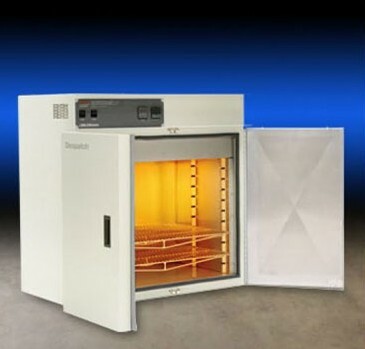 All our lab ovens come standard with the following benefits; a stainless steel interior, digital temperature control, over-temperature protection, 5 year heater warranty, & toll free Immediate Response Help Line for all your parts, service, & troubleshooting needs. Two model sizes: 1.6 cubic feet (45 liters) 5.1 cubic feet (144 liters). Maximum temperature: 260° C (500° F). 100% HEPA filtered for Class 100 operation throughout cycle. Stackable to save valuable floor space. Defining the standard in stackable clean process ovens for the production environment, the LCC Stackable Clean Process Oven has rugged, programmable process controls and an easily accessible HEPA filter. The LCC offers the ultimate in HEPA filtration for processes where mini-mal contamination is essential. 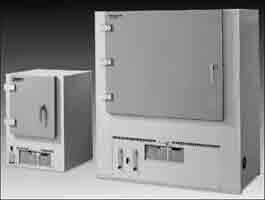 The oven is SEMI S2 and CE compliant for universal acceptance and configured for 220/240 volts and 50/60 hz. The LCC units are stackable to save valu-able floor space and provide maximum ergonomic efficiency for operators. The recirculation motor is mounted at the rear of the oven, providing convenient access and allowing up to three ovens to be stacked on top of one another, while still keeping loading heights ergonomically acceptable. Sizes available: 2.3 cu.ft, 4.3 cu.ft, 6.9 cu.ft, 12.1 cu.ft, 18 cu.ft and 27 cu.ft. 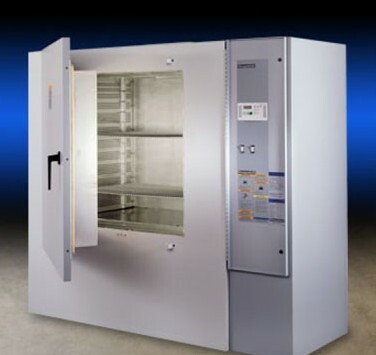 The LAC bench-top lab oven features horizontal recirculating airflow and exceptional temperature uniformity. The RA Series reach-in industrial oven features horizontal recirculating airflow..
Four models available from 4.2 to 35 ft. The RA Series reach-in industrial oven features horizontal recirculating airflow and exceptional temperature uniformity. The result is proven reliability in demanding production and laboratory applications, such as curing, drying, sterilizing, aging, and other process-critical applications. 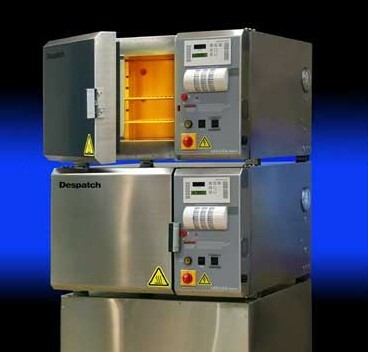 The high-performance batch oven delivers temperatures up to 343ºC (650ºF). The RF Class A reach-in oven features horizontal recirculating airflow and exceptional temperature uniformity. The result is proven reliability in demanding production and laboratory applications, such as curing, drying, sterilizing, aging, and other process-critical applications. These high-performance ovens deliver temperature up to 343ºC (650ºF) and meet NFPA 86 requirements for use with flammables and solvents. These Class A ovens are complete with a pressure relief panel, purge timer, and exhaust fan. 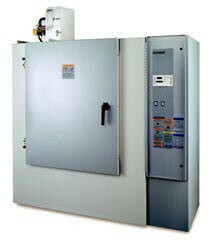 Each RF oven is specially designed for applications that include flammable solvents or large amounts of moisture removal. Models Available: 4.2, 11, 24 cubic feet.